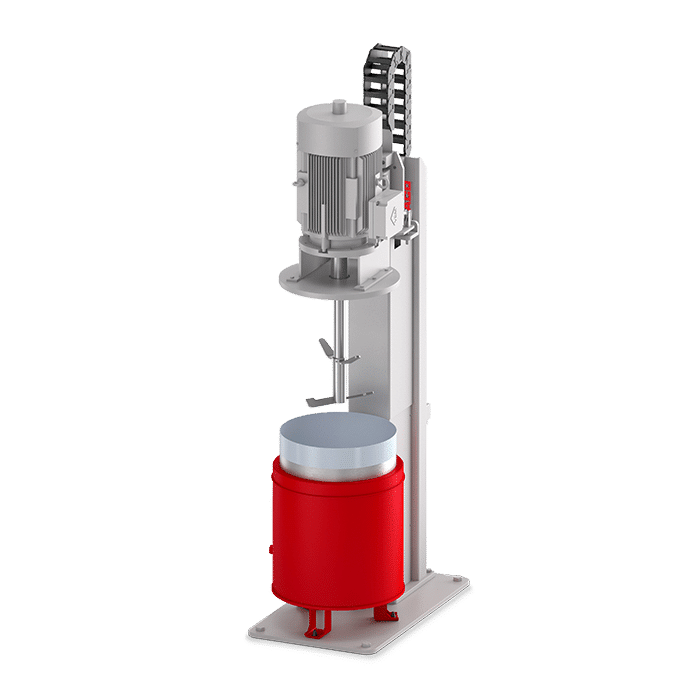 The basic principle of the MIXACO sack and drum mixer Speedy™ is the mixing of small batches directly in sacks or drums. 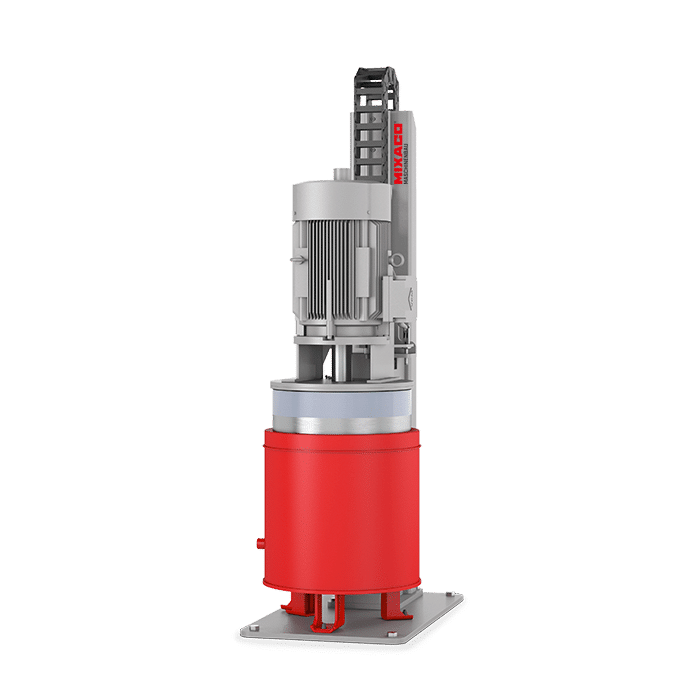 The product remains in its original container throughout the entire workflow—from filling and mixing to conveying and discharging—thereby significantly reducing costly, time-consuming cleaning times. Specially developed dead-space free mixing sacks with a capacity of 50 or 100 liters are available for powder and granulates. Volumes of up to 200 liters can be mixed in drums. Besides powders and granulates, liquids can also be mixed. 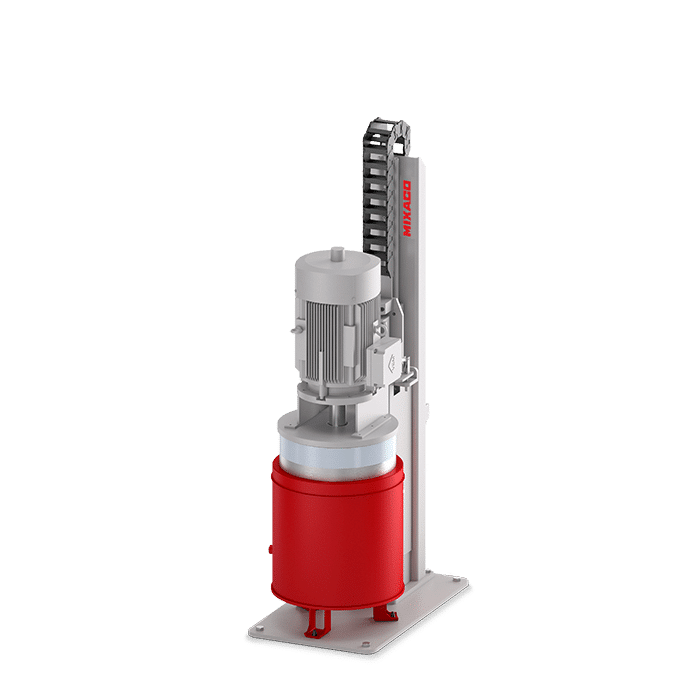 First, the appropriate tool for the mixing job in hand is lowered into the container, where the product is then very gently homogenized or dispersed without its temperature increasing. The container can be conveyed to the next processing station directly after mixing. The MIXACO Speedy™ is a practical solution in terms of internal logistics: the product is weighed, mixed, moved and stored in the same sack or drum. The following mixing processes are possible with the MIXACO Speedy™. Our specialists will work with you to determine the exact technical specifications and control parameters. 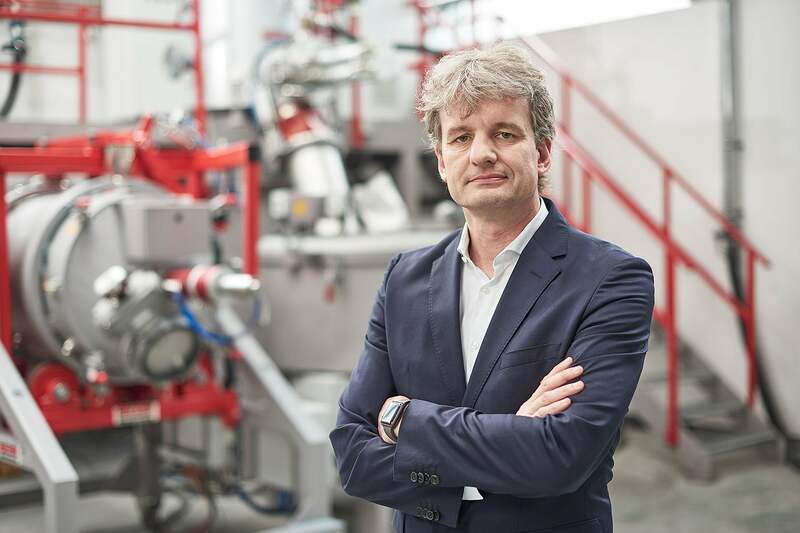 The flexibility of the MIXACO Speedy™ mixing system opens up new horizons for numerous applications and the manufacture of a large number of products. The individual requirements and careful processing of raw materials are guaranteed at all times. Our specialists will be glad to advise you on the optimum technical configuration for your product solution. The MIXACO Speedy™ sack and drum mixer can be extended in many different ways. Custom-built adaptations can also be developed to your individual specifications in consultation with our engineers. Please do not hesitate to contact us for more details.